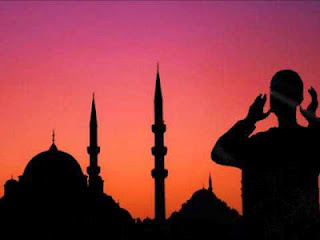 Is it permissible to recite the Azaan at the graveside of any individual? If it is, please supply ample proof from authentic sources so that the doubt the Muslims face at this moment could be eradicated. May Allah reward you for your effort. Aameen. It is reported that when a person is placed in the grave and about to face the two Angels, Munkar and Nakeer, at that crucial moment Shaitaan also appears with the intention of misleading and robbing that person of great spiritual bliss. The great Scholar, Imam Tirmidhi (rahmatullahi alaih), in his famous book, "Nawaa dirul Usool", reports the words of Hazrat Sufyaan Sourie (rahmatullahi alaih), who states: ARABIC"When the person is being questioned, the first question being, 'Who is your Lord?' At this specific moment, the Shaitaan appears and indicating to himself, he says to the person, 'I am your Lord!'" After reporting these words of the great Scholar, Imam Tirmidhi (rahmatullahi alaih) further narrates a Prophetic statement to substantiate his argument. It is reported in the Ahadith of the Prophet (sallal laahu alaihi wasallam) that at the time of burial, the great Prophet prayed for the deceased in the following manner: ARABIC"O Allah, protect him from the Satan." In the authentic books of Sahih Bukhari and Sahih Muslim, the words of Prophet Muhammad (sallal laahu alaihi wasallam) are quite clear. Let us see what the great Prophet (sallal laahu alaihi wasallam) states: ARABIC"When the Mu'ezzin recites the Azaan, the Shaitaan turns his back and departs as quick as he can." In the Sahih Muslim, the words of Hazrat Jaabir (radi Allahu anhu) are reported. It is stated, "When the Azaan is recited, the Shaitaan runs away as far as thirty miles." Let us narrate another Prophetic action. The following narration of Hazrat Abdullah bin Jaabir (radi Allahu anhu) is found in the great books of Ahmed, Tabraani and Baihaqi. He says: ARABIC"When Saad bin Ma'az (radi Allahu anhu) was buried and the grave was made presentable, the Prophet (sallal laahu alaihi wasallam) repeated at his grave the 'Subhan-Allah' after which the Companions did the same. The Prophet (sallal laahu alaihi wasallam) then repeated the 'Allahu Akbar' after which the Companions did the same. The Companions then asked, 'O Prophet of Allah, why did you first recite the Tasbih and then the Takbeer?' The Prophet (sallal laahu alaihi wasallam) replied, 'The earth was beginning to constrain this pious person. Almighty Allah (with the Barakah of these recitals) eradicated this pain and made his grave spacious'." The great Scholar, Allama Tabibi (rahmatullahi alaih), in his commentary of the Mishkaat, states: ARABIC"The meaning of this Prophetic action is that by the continuous recital of the Takbeer and Tasbih, Almighty Allah freed a person of the pain experienced within the grave." When we inspect the Azaan, we also find these very words in it. If we, therefore, repeat it at the graveside, we are doing nothing but following the Prophetic action. It should also be remembered that although there are a few words added in the Azaan, yet it does not alter the intention that one has, which is the pleading for Allah's mercy. It is, in fact, this very intention that the great Companions like Hazrat Umar, Hazrat ibn Umar, Hazrat Abdullah ibn Mas'ud, Imam Hassan (radi Allahu anhum) always bore in mind. In the great book of Jurisprudence, "Hidaya", it is stated: ARABIC"One should not lessen any words, for they are certainly the words narrated by the Holy Prophet (sallal laahu alaihi wasallam). If, on the other hand, words are added, then it is permissable, for the intention that one possesses is but to praise Almighty Allah and to make one's servitude apparent. It is, therefore, not forbidden to add any words to it." he will immediately realise who his Lord is! he will gain the answer to the third question! Hazrat Abu Hurairah (radi Allahu anhu), narrates that the Holy Prophet (sallal laahu alaihi wasallam) has stated, ARABIC"Extinguish the fire with the Takbeer." Let us now quote another Prophetic statement, the great Companion, Hazrat Abdullah bin Abbas (radi Allahu anhu) has narrated that the Holy Prophet (sallal laahu alaihi wasallam) has stated, ARABIC"When you see a fire, then indeed recite the Takbeer for it will extinguish the fire." The great Imam Tirmidhi (rahmatullahi alaih) in his masterpiece narrates the words of Hazrat Omara bin Marra (radi Allahu anhu), who describing the manner of the illustrious Companions stated: ARABIC"It was certainly considered Mustahab (desirable) by the great Companions and those who came after them that at the time of placing the person in the grave, they used to supplicate as follows: 'O Allah! Protect him from Shaitaan, the Rejected'." Hazrat ibn Abi Shayba (radi Allahu anhu), the illustrious teacher of the two most famous Scholars of Prophetic Tradition, namely, Imam Bukhari and Imam Muslim, states:ARABIC"It is considered Mustahab (desirable) that when the person is being buried, one should recite, 'In the Name of Allah, in the Path of Allah, in the religion of the Holy Prophet (sallal laahu alaihi wasallam), O Allah! Save him from the torment of the grave, from the punishment of the Fire and from the mischief of the Shaitaan, the Rejected'." In the great books of Abu Dawud, Baihaqi and Haakim are narrated the words of the third Caliph of Islam, Hazrat Uthman bin Affan (radi Allahu anhu). He narrates:ARABIC"When the Prophet (sallal laahu alaihi wasallam) (and those around him) had completed the burial of the deceased, he would stay a while at the grave side (and addressing us) he would say, 'Seek forgiveness for your brother and plead for him so that he may remain firm when questioned, and indeed he will be questioned'." Saeed ibn Mansoor (rahmatullahi alaih) in his Sunan narrates the words of the great Companion, Hazrat Abdullah bin Masood (radi Allahu anhu), who states,ARABIC"When the person was buried, and the grave made presentable, the Holy Prophet (sallal laahu alaihi wasallam) used to stand for a while at the graveside and supplicate in the following manner, 'O Allah! Our friend in certainly Your guest. He has turned his back to the world. O Allah! Let his tongue be true at the time of questioning and let him not be faced with those difficulties within the grave which he has no power to defend against'." The great Scholar of Jurisprudence, Mulla Ali Qari (rahmatullahi alaih), in his commentary of Mishkaat says: ARABIC"Every Du'a is the Zikr (of the Almighty Allah) and every Zikr is a Du'a." To substantiate this, let us quote a Hadith of the Holy Prophet (sallal laahu alaihi wasallam). It is stated that once the beloved Companions where reciting the Takbeer (Allahu Akbar) extremely aloud. (Fearing for their external health), the Holy Prophet (sallal laahu alaihi wasallam) advised them,ARABIC"Have mercy upon yourselves, indeed you are not making Du'a in front of One Who is deaf and blind, rather you are making Du'a in front of One Who is All-Hearing and All-Knowing." Now that we have clarified that it is absolutely an act of Sunnat to make a Du'a for the deceased, let us inspect what the great Scholars have to say. The great Scholars of Islam have stated that among the ethics of the Du'a is that before each Du'a is performed, one should perform some good deed. The great Imam Shamsudeen al-Jazari (rahmatullahi alaih) said, ARABIC"Among the ethics of the Du'a is that before it is performed, one should perform some good deed." The Holy Prophet (sallal laahu alaihi wasallam), explaining the times when the Du'a of a person is mostly accepted, said: ARABIC"There are two Du'as which are not refused. One is at the moment of Azaan and the other is at the beginning of Jihad." This tradition is reported in the book of Abu Dawud. In another Prophetic statement, the Holy Prophet (sallal laahu alaihi wasallam) has stated:ARABIC"When the reciter recites the Azaan, (at the moment) the Doors of Jannah are opened and the Du'a is accepted." In fact, this policy of calling Azaan by a person is assured of forgiveness to recite a Du'a is nothing else but following the Prophetic command. Let us see what the Holy Prophet (sallal laahu alaihi wasallam) has said: ARABIC"When you meet a returning Haaji, you should greet and meet him before he enters his house. You should request him to perform a Du'a for you, for he is indeed one who has been forgiven." The great Jurist, Mulla Ali Qaari (rahmatullahi alaih), in his commentary of Sahih Bukhari, after comprehensively describing the many benefits and advantages to be achieved by reciting the Quran and other Zikrs of Allah at the grave of a Muslim, clarifies further by saying, ARABIC"All types of Zikrullah certainly assist the deceased Muslim within the grave." Imam Badrudeen Ani (rahmatullahi alaih) in his commentary of Sahih Bukhari further clarifies this point. He states: ARABIC"Among the considerations for the deceased person are (among others) that the Muslims should gather at his graveside, they should recite the Holy Quran and also busy themselves in the Zikr (remembrance) of the Almighty Allah. These actions are in fact a great gain to the deceased Muslim." They explain this verse as follows: ARABIC"I (Allah) have made you (O Muhammad) a remembrance among my remembrance. Indeed, he who remembers you (O Muhammad) remembers Me." Let us now see the condition of those who remember the Almighty Allah. The Holy Prophet (sallal laahu alaihi wasallam) said, ARABIC"The Angels of Allah surround them. The Mercy of Allah engulfs them and peace and serenity descends upon them." We should also remember that when remembering any pious slave of the Almighty Allah, it becomes a means of receiving Allah's Mercy. The great Saint, Hazrat Sufyaan bin Ainiya (rahmatullahi alaih) clarifies this point. He states:ARABIC"With the remembrance of the pious, the Mercy of Allah descends." Let us logically inspect the great status of the Holy Prophet (sallal laahu alaihi wasallam) and we will immediately realize the immense advantages achieved in the recitation of the Azaan at the graveside. Abu Jaffar bin Hamdaan, quoting Abu Omaro bin Majia (radi Allahu anhuma) states: ARABIC"Indeed, the Prophet (sallal laahu alaihi wasallam) is the head of the Pious." The following Tradition will clearly explain the peace that is to be found in the recitation of the Azaan. The Holy Prophet (sallal laahu alaihi wasallam) explains: ARABIC"When Hazrat Adam (alaihis salaam) descended upon Hind (India), he experienced extreme anxiety. At this stage, Hazrat Jibrael (alaihis salaam) arrived (and to dispel the anxiety) he recited the Azaan." In the book, "Masnadul Firdous", Hazrat Ali (radi Allahu anhu) narrates:ARABIC"The Holy Prophet (sallal laahu alaihi wasallam) saw me in a state of sadness and anxiety, he remarked, 'O Ali ibn abi Taalib! I find you in a state of sadness, therefore, command a member of your household to recite in your ear the Azaan, for verily, the Azaan eradicates sorrow'." Imam Abu Bakr Zakaria Nuwi (rahmatullahi alaih), in his commentary of the great book, Sahih Muslim, states:ARABIC"It is certainly considered Mustahab (desirable) that when the deceased has been buried, one should sit awhile at his graveside, as much as that time within which a camel could be slain and it's meat divided. The people sitting around should busy themselves with the recital of the Holy Quran and they should also supplicate (make Du'a) for the deceased Muslim. They should busy themselves also with giving one another good advice and also narrate stories of the Pious slaves of the Almighty Allah." It is a means of making the Du'a which the Ahadith of the Prophet (sallal laahu alaihi wasallam) has mentioned as Ibaadah (worship). All Praise is due to Almighty Allah. Indeed it is surprising that those who prohibit this wonderful deed of reciting the Azaan are doing nothing but robbing the Muslims of all the above mentioned benefits. As a matter of fact if we do recite the Azaan at the graveside of a brother Muslim we are doing nothing but practising the blessed words of the Holy Prophet (sallal laahu alaihi wasallam) wherein he has clearly stated: ARABIC"You should as much as you can be of benefit to your brother Muslim."